We’re in on “The Ground Floor”! Jumblies makes art in everyday and extraordinary places with, for and about the people and stories found there, creating transient utopias and far-reaching ripples. Click below to see everything from activities and events, to opportunities & offshoot news! Browse: Home / We’re in on “The Ground Floor”! Last Wednesday Jumblies moved into our wonderful new cozy office and spacious studio at Dan Leckie Way and Fort York Blvd. We’re naming the whole place The Ground Floor, since we’re in on it both literally (you can walk right in from the street) and figuratively (it’s right in the middle of the new “City Place” development). We’re in a Toronto Community Housing building, and surrounding us are high-rise condos and a new library still under construction. As we settle in, we’ll start to do all sorts of things: community and professional development workshops, evolving galleries, events, seminars, screenings, tea parties… stay tuned! Thanks again to the Toronto Arts Council for opening up spaces such as this for arts activities. 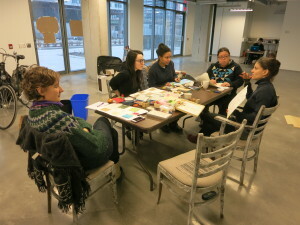 Day 1: Liz Rucker of Arts4All and Jumblies new artist-interns – Pam Snell, Miranda Sharp, Faeghan Williams & Adrienne Marcus Raja – meet at our new space: The Ground Floor. ← Jumblies Gets a Great New Space! There are many artful ways to tell stories through dance, music, crafts, visual arts, photos, objects, film, conversations & more. 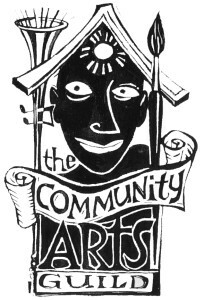 Who Knew is proudly presented in partnership with Jumblies Theatre, a Toronto-based arts and theatre company with 40+ years of experience who specialize in participatory art projects. 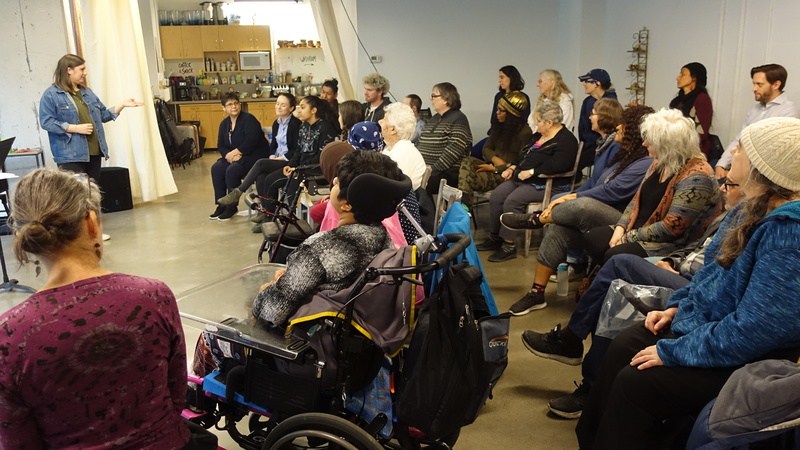 Each Monday afternoon Ruth Howard, Artistic Director, and several other artists join us at the Bernard Betel Centre to artfully share stories through discussion, art-making, movement, and sound in a friendly, relaxed environment. It’s a great opportunity to collaborate, explore, and share your extraordinary life. Drop-in and try it out! If you have any questions, please contact Jen MacDonald at 416-225-2112, ext. 105 or jenm@betelcentre.org. This program is generously funded by the Toronto Arts Council and offered in partnership with Jumblies Theatre. Music Room, April 15, 22, 29, 2 – 4pm. 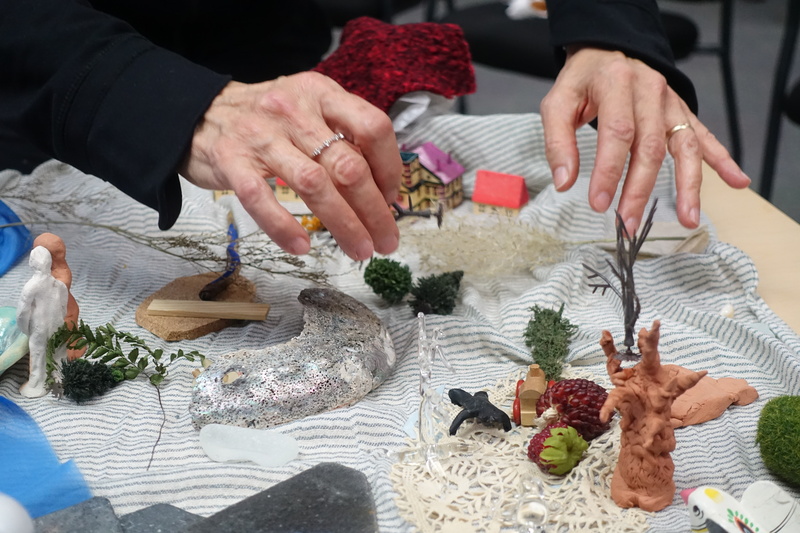 Bring objects & stories to create a short video. Contact us if you are interested in volunteering! Web Design + Development by Vanessa Denov, Liam Coo, Shifra Cooper, Sarah Miller, Sasha Tate-Howarth. Photos by Katherine Fleitas, Liam Coo, Michaela Otto, Cylla Von Tiedemann, and others. Illustrations by ML Sharp and Helah Cooper.